Millennium 7 Publishing Co.: America's Favorite Social Media Platform? America's Favorite Social Media Platform? 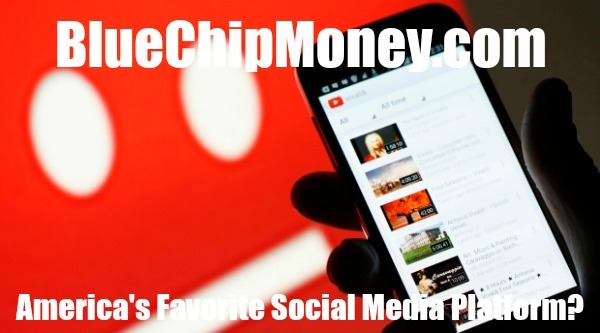 Survey: YouTube is America's most popular social media platform.. In a survey published by Pew Research Center at the beginning of March, it was revealed that the number of American adults using YouTube online or on their phones had climbed to 73%— more than Facebook, which came in at 68%. Several other social media platforms including Snapchat, Instagram, Pinterest, LinkedIn, Twitter and WhatsApp also factored into the survey but there was a sheer drop off in people following Facebook, with the third most popular app Instagram coming in at just 35%. Related Article: Adjusting YOUR Business Social Media Presence? Over 2000 adults were surveyed about their social media habits over a week in January 2018, spanning different age ranges, genders, ethnicities, education and geographical factors. Unsurprisingly, the average American will use at least three of the mentioned platforms and social media usage was further broken down into 88% of 18-29-year-olds at the highest end versus 37% of Americans aged 65 and older. Related Article: Successful Social Media For YOUR Small Business? Facebook and YouTube dominated across the board, however, YouTube usage spiked to a whopping 94% in the 18-24 demographic with Facebook trailing behind at 80%. While the total number of Snapchat and Instagram users may not hold a candle to either, they did however capture a large percentage of the 18-24 demographic at 78% and 71% respectively. The results completely changed however when people were asked how often they visited a social media platform with Facebook dominating with 71% checking it daily, with 51% hopping on multiple times a day. Snapchat followed with 63% on a daily schedule while YouTube plummeted to last place with just 45% of users checking it daily. An overwhelming 91% of adults aged 18-29 were YouTube users, with 85% of college graduates admitting to using Alphabet's video streaming service. The number dipped down to 65% for high school graduates and there was a fairly even spread of 7% across white, black and Hispanic users. A similar trend emerged across genders, with 72% of women versus 75% of men using the platform. Related Article: The Art of YOUR Digital Marketing Videos? Women (74%) were more likely than men (62%) to use Facebook and it was also the most popular form of social media for Americans aged 65+ (41%). Hispanic people (73%) were most likely to use Facebook in contrast to white (67%) and black (70%) demographics and was the second most popular form of social media for people in urban, suburban and rural environments. Other interesting findings included the fact that WhatsApp had an incredibly strong Hispanic market, beating Instagram and Snapchat to third place (49%). Users who were educated to a high school level or below were least likely to use LinkedIn (9%) compared to half of all college educated people and people who earned upwards of $75,000+ were also highly likely to use it (45%). Instagram, Snapchat, LinkedIn, Twitter and WhatsApp were highly unpopular with people aged 65+ with results of under 10%. Related Article: America's Most Popular Social Media Platform? As far as giving up social media goes, the survey found a 12% increase in people who admitted it would be difficult to give up the platforms since Pew Research Centre’s 2014 survey. However, more than half (59%) also said that they could call it a day and hang up their social media hat with 29% saying they could do so very easily. Guest Authored By Megan C. Hills. Megan is a digital journalist based in London and Hong Kong covering new media, especially in the YouTube space. She's written internationally for the likes of Marie Claire UK, InStyle UK, VICE, Hong Kong Tatler amongst others. She also has a strong background in women's lifestyle covering fashion, beauty, travel and entertainment. Megan trained as a writer at the University of Warwick where she was taught to write poetry, throw snowballs at walls and sword fights, then more seriously as a journalist at London College of Communication where she focused on the business and ethics of new media. Follow Megan on Twitter. "As humans, we're still figuring out how to compute all of this data. Yes, we are more informed than ever, but we're also more anxious, less trusting and addicted to the 24/7 news cycle.